Register before 12 April for the Young Investigators Meeting (YIM) to be held on 11 and 12 June 2019 at Hospital Universitario Ramón y Cajal in Madrid, Spain. 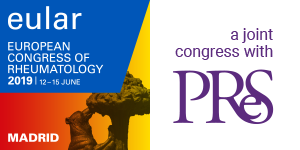 PReS is pleased to offer travel bursaries to PReS members who require support to attend the EULAR/PReS Congress. Applications should be submitted no later than 18 April 2019. It is with the greatest pleasure that we invite you to join us at the upcoming joint EULAR/PReS meeting in Madrid. This is a special moment for pediatric rheumatology and our very close collaboration with EULAR.